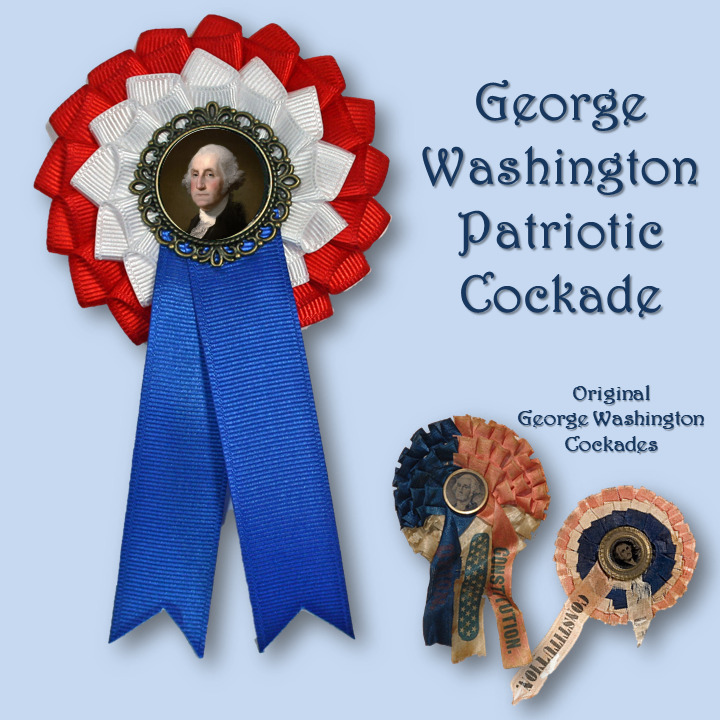 George Washington, America's first President, has been honored on patriotic cockades throughout our country's history. This cockade is approximately 3" across and the streamers are approximately 4" long. The pin back is silver-plated and 1" wide.